You need them. But not just any link will do. You need quality links. The ranking algorithm used by Google is still a bit of a mystery. Although the company has never revealed exactly what it is or how it works, we do know that there are roughly 200 ranking factors. Some we know for a fact, others are an educated guess, and the rest are assumptions and/or shots in the dark. Domain factors, site-level factors, page-level factors, user interaction, brand signals … and backlinks. In fact, backlinks are one of the keystones, according to Google itself. 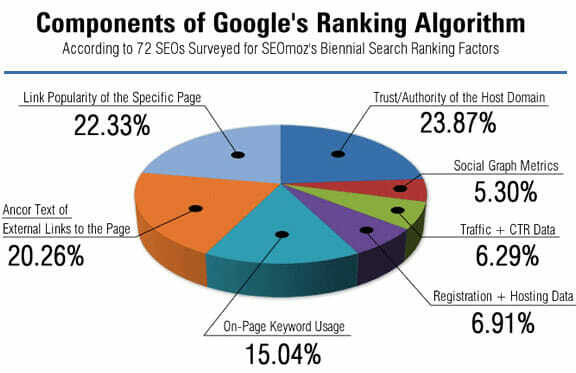 The search giant considers a wide range of criteria related to the number and authority of links pointing to your site: number of linking root domains, links from “expected” websites, links from competitors, diversity of link types, contextual links, location on page, page-level relevancy, and more. If you want to rank, you need backlinks. If you want to rank well, you need plenty of high-quality backlinks. You can actually do quite well with little else (not that I’m suggesting you do that). They’re that important. So, knowing that, what’s the single greatest channel for generating consistent and high quality links? Relationships. You can generate backlinks in many different ways: business listings, industry directories, review sites, guest blogging, and so on. They’re all worthy of your attention. Fundamentally, backlinks are produced by a) creating content your audience wants, and b) promoting that content. Create something awesome, share it, and promote it. People will pick up the gauntlet and share it within their circles, which creates a link back to your content. Sounds simple. However, we know that not all backlinks are created equal. You need authority, quantity, and diversity to increase your odds of success with the search engines. Other studies have shown the sweet spot to be a read time of seven minutes, a minimum of 1,000 words, just under 2,000 words, and 2,000+ words. While there’s no magic number, the experts agree that longer is better, so aim for at least 1,000 words. Less than that, and it’s difficult to produce a thorough, useful and quality piece. The promotion part is on you too, but you can give yourself a massive boost by building relationships with other relevant experts and leveraging their audience in addition to your own. By connecting with others in your industry, you’ll increase your reputability. People will think of you, quote you, and talk about you – and you’ll naturally build links. When creating content, try reaching out to relevant influencers while you’re creating it – not after the fact – so the promotion is actually happening simultaneously. Ask influencers for their feedback or to contribute to the content so that they’ll be invested in it enough that they’ll naturally want to help you promote it later on. When it comes to earning quality backlinks, think relationships. Build the relationship, leverage the connection, and you’ll both benefit from increased exposure, backlinks, traffic, and a larger network. But let’s slow down. Before you do anything else, you need to build a site and a reputation deserving of backlinks. Produce your own content – one thousand words or more, engaging and valuable – and publish it on your own site. Work to increase your web traffic organically. Ask your followers and readers to share. SocialBakers found an average of 73.48 retweets/hour when asked for, versus only 2.09/hour without being asked. Build and increase your domain authority. Spread brand awareness by commenting, engaging, guest posting and possibly even paying for it. In essence, build yourself up as a worthy expert that people want to know and link to. Aim high: who are your “dream” connections, the industry/niche superstars you’d love to connect and share with? There are probably a few names that immediately pop into your head, but don’t stop there. You need to identify everyone – even those under the radar – who is consistently writing about and getting engagement (likes, comments, shares) on your topics. 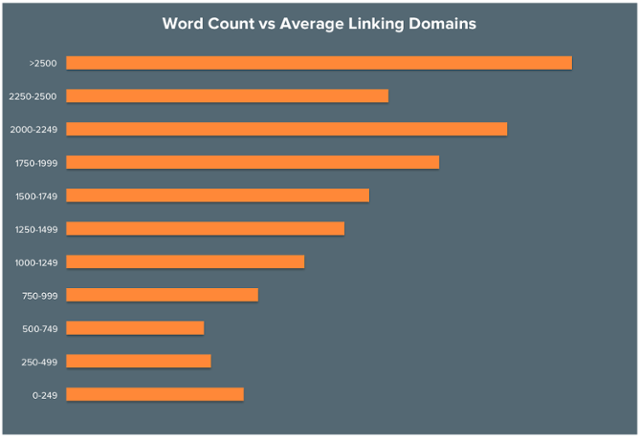 Tools like BuzzSumo, Social Animal, or NinjaOutreach can help identify these people by topic or keyword, as well as provide all the links pointing back to them. These are your people and sites. Make a list. Start small and work your way up. It’s tempting to begin by contacting the biggest name on your list. But here’s the thing: influencers just aren’t able to respond to everyone who contacts them. They have to be selective. Instead, turn your attention to the small fish in your niche, the ones like you. They are much more likely to respond and want to help you as much as you want to help them. You have names and websites. Use a service like Voila Norbert or Email Hunter to find email addresses. Reach out with a brief, personalized message with no ask. Offer them something like a compliment on a recent post or achievement, a broken link you found on their site (and an appropriate replacement), a resource, or a simple notification that you’ve included them in your latest expert roundup or blog post. Start at the bottom of your dream list and work your way up. Once you reach the major players at the top, you should already have a decent reputation and following that makes it worthwhile for them to respond to you. Now that you’ve made a connection, work to organically grow your relationship with the person. Don’t suffocate them with constant emails, asks, and direct messages. Be there for them. Be an asset to them. Comment on their blog and social media posts, pass on stellar resources and content (not necessarily yours), congratulate them on recent achievements, awards or events, link to their site in your content, and consistently share their content with your audience. Increase awareness and traffic to their site, and they’re eventually going to reciprocate. Once a relationship is cemented, you can begin to leverage it for mutual benefit. Start small, like a request for them to read over and possibly make suggestions for something you’re working on. Everyone loves a little flattery, and they’ll be inclined to share it with their audience later because they’re invested and feel part ownership. Larger asks might include a quote, a short Q&A, or a longer interview or profile, all of which increase their reputation and reach. Keep giving more than you take from the relationship, and you’ll become an asset to them. They’ll start to share your content, recommend you and link to your resources without being asked. Find consistent ways to help them, and they’ll deliver consistent, high-quality backlinks to you and your site. Of course, that’s not the end of it. Backlinks earned are only one part of your overall strategy. You have to monitor, manage and repair. Luckily, there are a number of great tools to assist you with this, including SEMrush, Ahrefs and Nightwatch. Keep earning links, monitor the ones you have, and conduct periodic backlink audits to keep it all healthy and positive. The overall blueprint for SEO success may have changed over the years, but quality content and quality backlinks remain at or near the top. They are the foundation upon which your efforts should be built. And there’s no stronger building material than backlinks earned via your relationships with the movers and shakers in your niche.